Heading to Puerto Vallarta you’d like to know what the Mexico exchange rate is for your particular currency. 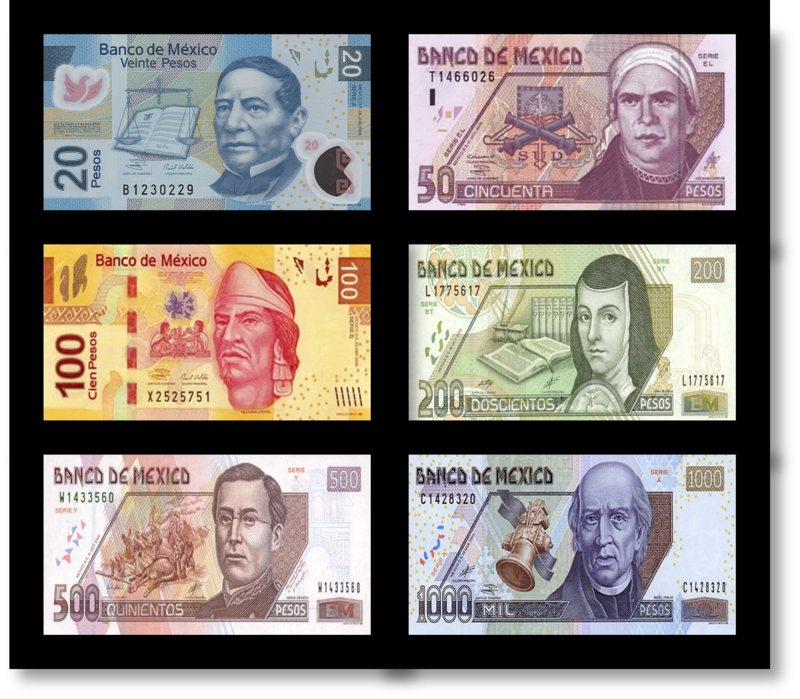 Like currency in every country Mexico exchange rates are fluid and change daily, so a currency converter is an important resource for international travel. However, whenever you’re utilizing a currency converter please keep in mind that the rates displayed will be a bit higher than the actual rate you will receive at your home bank or on the ground in Puerto Vallarta. This is because the Mexico exchange rates displayed for USD and CAD are those that the banks are receiving. The general public will of course receive exchange rates that are a bit lower, in general about 1% to 3% below the interbank rate. For example, if the currency converter shows the Mexico exchange rate to be $13.25 pesos to the dollar, when you exchange your cash at a bank or pull out funds from an ATM the actual rate received may be in the ballpark of $12.50 pesos to the dollar. Mexican Pesos, MXN. Find out what the current Mexico exchange rate is with our accurate currency converter. One thing to consider is that many Mexican banks will no longer do currency exchange for non-accountholders. As a tourist, chances are you probably won’t have an account in a Mexican bank and will have to try several banks before finding one that will exchange your currency. 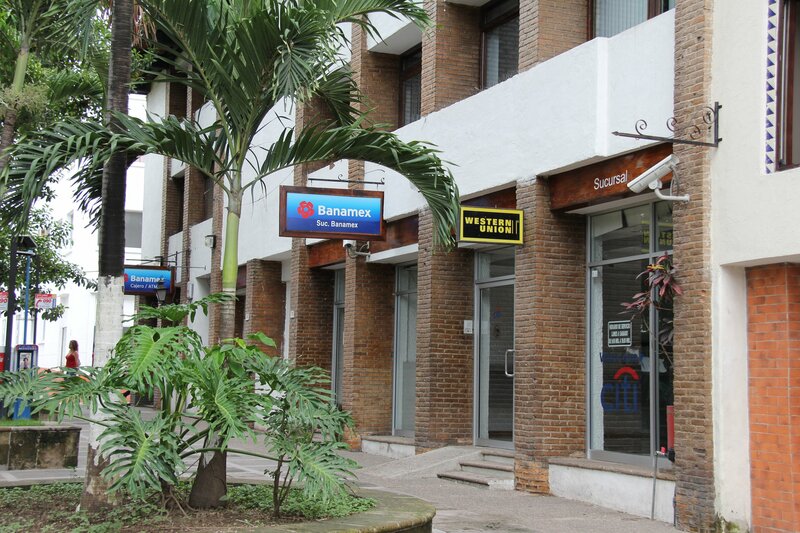 Others, like Bancomer bank, will not do currency exchanges even for their accountholders. Banamex ATM just up from Starbucks and across the street from the Main Square. When there are several banks located within the same area this provides you with an opportunity to shop around for the best exchange rate. Most banks will display an exchange rate chart on their window. But unfortunately there are a few banks that do not post up their rates for public viewing; so if you use those ATMs you’ll just have to hope you are pulling out cash at a competitive rate. If the ATM is attached to a bank, you can always enter the bank to inquire about the current Mexico exchange rate. If you enter a bank to exchange currency you will need your passport. Instead of traveling with a large amount of cash to be exchanged at a bank in Puerto Vallarta, consider taking your debit card as well as a major credit card along with some “emergency funds” in your own currency that can be converted to pesos in a pinch. Just plan on withdrawing money as needed from an ATM machine. There are numerous banks and ATM machines available all over Puerto Vallarta, as well as plenty of options in Nuevo Vallarta, Bucerias, LaCruz and Sayulita. For your convenience, ATM locations are clearly marked on all of our maps to include the map of Centro/Downtown, the map of the Romantic Zone, and the map of Nuevo Vallarta. Although the digital screens of many ATM machines will state that $3000 pesos is the maximum amount you can withdraw on one day, we’ve consistently found that if we select the option “Other Amount” and then key in a higher amount that we can take out more. At many ATMs the magic number seems to be $5000 pesos per withdrawal, per day. But we’ve just learned that the Santander ATM in the Romantic Zone allows the withdrawal of $8000 pesos during one transaction. If your hotel has internet service, consult a currency converter on the day you plan to exchange or withdraw funds to determine the current Mexico exchange rate. Although it’s been reported that some hotels will offer their guests a decent exchange rate, most travelers will find that the best rates are available through ATM machines. If you have ample time to investigate and compare, then exchange just enough money at your hotel to get you through that first day, then take out additional funds at an ATM and see which rate is better. When you’re on the ground in Puerto Vallarta and notice that the Mexico exchange rate for your currency has taken a huge upward swing in your favor, consider taking out a larger amount that day. I cannot count how many times we’ve consulted a currency converted and were excited that the rates were terrific that day, then got distracted and never made it to an ATM. The following day we were so disappointed to find that we had completely missed the boat as the exchange rate had taken a notable dip downward. Fortunately for the average tourist this Mexico exchange rate issue of needing to pull out large quantities of pesos is primarily a concern for vacationers on long-term stays of a month or more. PAY WITH DOLLARS OR PESOS? Vendors, restaurants and businesses within Puerto Vallarta and Banderas Bay prefer to be paid in pesos. Because new banking laws have placed limits on the dollar amounts that can be exchanged into pesos per month, it’s a real hassle for locals to have to deal with U.S. and Canadian dollars. And foreign coins are completely useless in Mexico, so don’t plan on leaving any U.S. quarters at the table as part of a tip. It’s also important to remember that when merchants in Puerto Vallarta exchange your dollars into pesos they lose money on the back end because of the international exchange fees charged by the banks or cambios. So please be courteous to everyone and pay in pesos! Before you travel make sure to call your bank and credit card companies to let them know you’ll be traveling to Mexico and the exact dates you will be out of the country. They will want to notate that on your accounts. This is very important! If you do not communicate your travel plans to your bank and credit card companies you risk having your ATM cards and credit cards denied or deactivated by your home banks when you use them in Mexico. 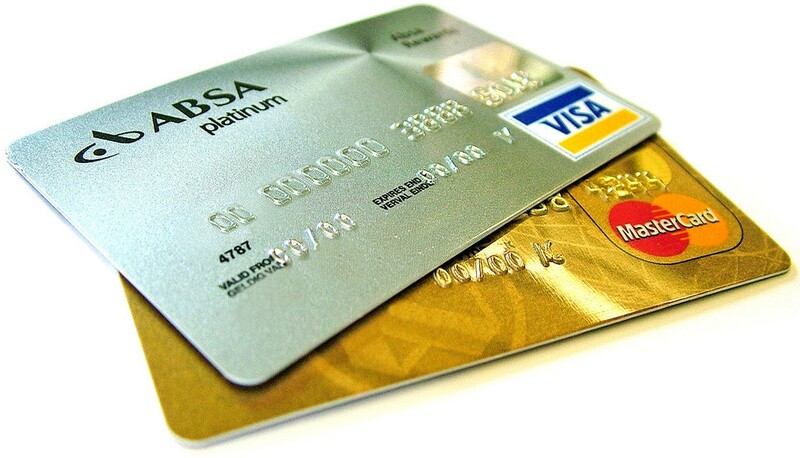 This protective measure is done to prevent stolen cards from being used in a foreign country. Also be sure to ask your banking institutions what their international transaction fees are for using your debit and credit cards in Mexico. Some banks like Wells Fargo Bank from the U.S. charge 3% on all purchases and a flat fee of $5 USD per ATM transaction. So in the case of a flat fee it’s best to pull out one large amount at the ATM rather than several smaller withdrawals over time, as whether you pull out $200 pesos at the ATM or a larger amount like $3000 pesos the same flat rate will apply. Please check with your own individual banking institutions as fees and rates vary by bank. As cash rather than credit cards is most often used in and around Puerto Vallarta, if you are traveling during any major Mexican holiday, be aware that the ATM machines tend to completely run out of funds a day or two before the holiday period, and the ATM machines may not be replenished until a day or two after the holiday. So in advance of the holiday, and just to ensure your vacation goes smoothly, do plan to withdraw all the funds you will need to get you through the following week. Just like at home, the vast majority of ATM machines throughout Puerto Vallarta and Banderas Bay are absolutely safe to use, with very few worries about ATM cards being compromised via card skimmers, etc. However, there is one glaring exception: The CiBanco ATM machine on Olas Altas in the Romantic Zone has repeated ATM card security issues that have never been adequately addressed by the cambio’s management. This location is not a bank; it’s a money exchange place with an ATM machine outside. Puerto Vallarta locals as well as regular visitors to the area are completely aware of this unresolved situation that has been ongoing for years, and therefore advise their friends and other visitors to completely avoid using the Cibanco ATM at that particular location. As our map of the Romantic Zone shows, there are plenty of other nearby ATMs without issues that are safe to use. And for the very safest ATM transactions, it’s advisable to pull out funds from ATMs located inside or attached to a regular bank. Before you leave for your trip, check the current Mexico exchange rate via a currency converter, such as the currency converter provided on this page. Whenever you travel internationally, it’s best to arrive on the ground with a good idea of what to expect. As exchange rates fluctuate daily, it’s best to utilize a currency converter the day before you travel. Always travel with a credit card that you can use in the event of an emergency. If you have a medical emergency, you will need to remit payment at the time of service. So even if you don’t plan on using a credit card for everyday transactions, do bring one with you and just leave it in the safe of your resort or condo along with your medical insurance information, physician’s telephone number, and all other emergency phone numbers for relatives back home. It’s important to note that at many restaurants and bars throughout Puerto Vallarta and Banderas Bay cash is king; it’s the only payment method accepted. So if you are depending on using a credit card to pay for your meal and drinks, before entering an establishment and being seated be sure to ask if they accept credit cards, and verify exactly which types of credit cards they accept (MasterCard, Visa, American Express, Discover, etc.). Also ask if the establishment charges a service fee for credit card usage. This is often the case when businesses decide it’s necessary to pass along the credit card company’s fees to the consumer. Here’s what we’ve encountered at a few locations: a 5% fee added onto the total amount of the bill. And just in case something happens with your credit card during your outings such as a credit card authorization failure, the card does not swipe properly, etc., it’s always advisable to carry an emergency fund of cash (maybe $400 pesos) in a separate zippered pocket away from your other funds to serve as your back-up plan. It’s better to be safe than sorry! Prior to traveling find out from your credit card company if they charge international transaction fees, because those fees can really add up fast. You may determine that due to high fees charged by your credit card company that it’s just not worth it to use your credit card abroad. There are credit card companies such as “Barclaycard” and “Capital One” that offer credit cards that do not incur international transaction fees. If you travel abroad frequently, it may be a good idea to further investigate obtaining one of those credit cards. When bringing dollars with you on vacation to Puerto Vallarta, Mexico it’s important that all of the bills are crisp and clean without rips or tears. The bills should not be defaced in any way. Merchants will not accept bills that have writing or ink stains on them, or bills that look overly worn and wrinkly. Before your trip, go inside your bank at home and ask for new-looking bills. Bring smaller denominations such as $1 USD, $5 USD, and $20 USD if you plan to use them here and there around town. Larger denominations such as $100 USD are fine if you are planning on using this currency for shopping at Sam’s Club or Costco where if you use dollars you’ll receive an excellent exchange rate on your purchases, or if you are planning on converting your dollars to pesos at an exchange house. Before using dollars to pay for restaurant meals, taxi fares and any other purchases, first ask what exchange rate they are offering. Many times it’s a standard 10:1 exchange rate which is not good at all if at an ATM you can receive a much higher exchange rate pulling out pesos from your bank account, or if you can exchange your dollars for pesos at a better exchange rate at one of the many cambios (exchange houses) around town. In Puerto Vallarta you will quickly find that you can stretch your vacation funds much farther by paying with pesos!